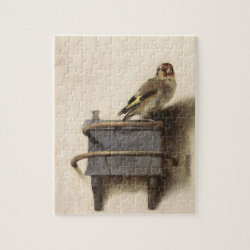 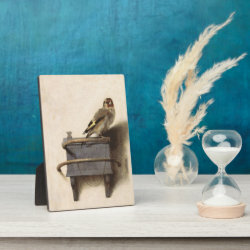 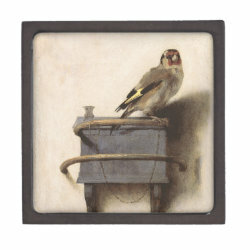 The Goldfinch is a beautiful small oil painting by Dutch artist Carel Fabritius. Fabritius was a student of Rembrandt in Amsterdam. 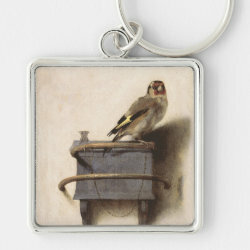 The painting features a More... pet European Goldfinch chained to a small feeder. 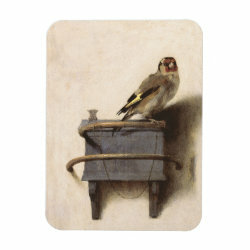 The work was done in 1654; today the original is part of the Mauritshuis collection in the Hague. 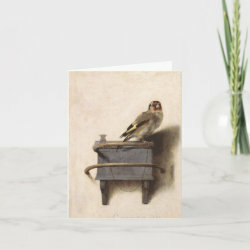 The work received international attention when it was featured in the 2013 Pulitzer-Prize winning fiction novel "The Goldfinch" by Donna Tartt. 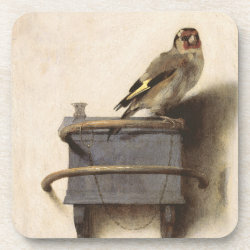 Here the work of Fabritius is reproduced for a modern audience.